While we are experiencing many global challenges, there is also a gradual global push toward better leadership. There are many trends moving us toward a point where we clearly understand “leadership” to include good ethics and exclude any behavior that is purely self-serving or harmful to others. We have seen enough people making poor ethical decisions in the name of “leadership” to realize that we need to change something. Some people may even think that things have gotten so bad that the term “leadership” should be replaced. I disagree. Our understanding of what leadership means is evolving, so we shouldn’t throw out the word and replace it with a new one. We should continue the movement toward clearly re-defining it at a higher level. What does redefining leadership at a higher level mean? When we say “leadership,” we will automatically include ethical responsibilities along with opportunities and benefits. When we say “leadership,” we will think of the most humble, dedicated people who, working with others, try to leave the world better than they found it. With this higher level understanding of leadership, we will never mistake a greedy, dishonest, fraudulent , harmful, toxic or care-less person who happens to have a title for a real leader. We will not be distracted by smoke and mirrors. We will look for substance and service. I am optimistic and I believe that this is the future of leadership. What do you think? Are you ready to redefine leadership at a higher level? Are you ready to separate self-serving psuedo-leadership from real leadership? We must use a systems view in day-to-day leadership because we lead in a systems world. The systems we touch are connected and inseparable. Think for a moment about the impact of changing one ingredient in a food product. That one change impacts the ingredients list on the packaging, it changes the way the food is prepared, it requires a changed production process, and perhaps additional equipment and training. It may require a new supplier, and a new food storage and delivery schedule. It may change the advertising and website. It may require an allergy warning. Now let’s take a regional example. What if you are a shipping company and you change your routes? That would change services and delivery times for some of your customers. What if your customers are counting on fast deliveries and the change in schedule means that they can’t get their shipments out on time in the week of the change? What if you are delivering medical supplies to them that don’t reach a hospital in time? We cannot make decisions without considering systems, because we live and lead in a systems world. The systems in our world are multicultural, global and complex. Leading ethically requires that we do the hard thinking required to honor multiple constituents. It requires always remembering that we lead in a systems world – made up of human, economic, environmental, and societal systems. We must stretch our thinking until it is broad enough to encompass all of those systems. People who are fearful and stressed cannot do their best work. 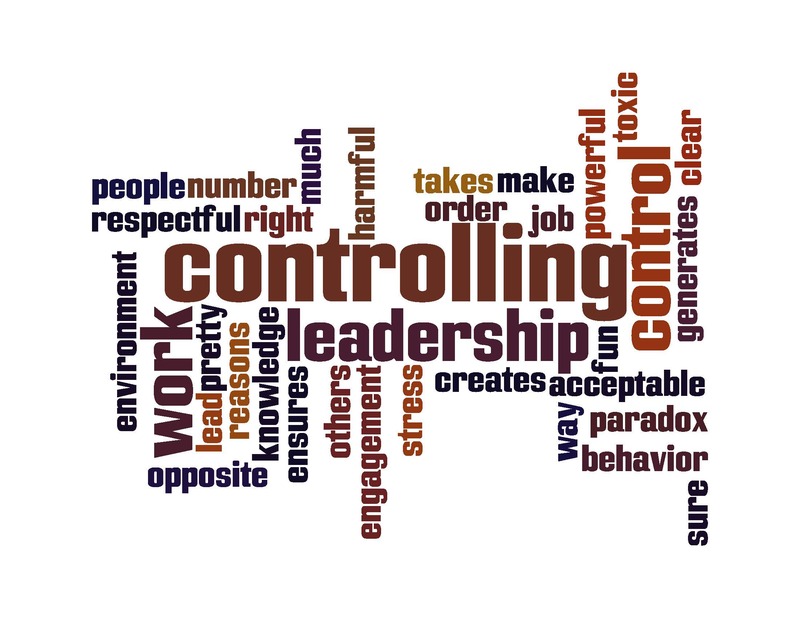 Controlling leadership violates many of the principles of ethical leadership. What is the control trap? When a leader tries to control the actions of employees to make sure that they “do it right,” that controlling behavior takes away their natural ability to do good work. Good performance is not something that you can control – but you can release it by the way that you choose to lead. Which levels shown in the graphic below represent ethical leadership? Is Just Following Laws Ethical Leadership? The first level on the left, sidestepping laws and ethics codes, is clearly not ethical leadership. This self-focused, opportunistic approach to leadership represents a leader operating below the law or seeking loopholes for personal gain. What about the second level, in the middle? Is complying with laws and ethics codes ethical leadership? When leaders and businesses operate below the level of laws and regulations, they are punished. The punishment threshold, though, is definitely not the same as the level of ethical leadership that we need in organizations. If we settle for leadership at this level, we will be missing many other important aspects of ethical leadership that are well above the punishment threshold. Following laws and regulations is just above the punishment threshold for ethical leadership. Expectations are moving to a much higher level, a level at which we are expected to do much more. Look at the third level, the highest level of the graphic. Aren’t transparency, sustainability and honoring human rights now expected of all businesses? I believe they are, and there are other factors we need to consider that are not on this list. The minimum standard is gradually moving to a higher level as we better understand the impact of our choices on others in a global society. There are more ways of interpreting ethical leadership than just the three shown in this graphic, but the graphic illustrates the point that leaders are interpreting “ethical leadership” at very different levels. As we understand our global interdependence more clearly, the expectations for leading ethically will only increase. Aiming for the principled level of ethical leadership, the highest level, prepares us to meet our challenges as responsible global citizens. Which of the three levels shown in the graphic best depicts my perception of what ethical leadership includes? How can I convey the message to those I lead that expectations for ethical leadership and ethical behavior are increasing? How will I systematically learn what I’ll need to know in order to respond to the higher expectations of ethical leaders? How will I share what I learn with others? The recent post Should Trust Be Freely Offered or Conditionally Earned? generated lively discussions in LinkedIn Groups about extending trust when we meet someone new. It was clear from reading the discussions that trust has many different dimensions. Readers shared how they perceived trust – some saw it as an emotion, some saw it as a relationship, others described it as a mindset. They took the discussion beyond the original question and explored how we extend trust to others based on many variables. Here is a partial list of the variables that impact how freely we extend trust, based on reader comments. What would you add? In spite of how many variables readers mentioned that impact how freely we extend trust, the majority felt strongly that it is still good to freely extend trust. Below are some of the reasons they named for freely extending trust when we meet someone new. These Top Twelve Posts published in 2012 were the favorites of Leading in Context Blog readers. They all provide a context for thinking about how to make ethical choices in a complex world. 5. What is Unethical Leadership? What questions about responsible leadership are on your mind as we head into 2013? Feel free to suggest topics for future posts. Should We Trust Right Away (or Wait for People to Show That They Can be Trusted)? When we meet someone new, should we trust them right away? Should we assume that they are trustworthy and give them the benefit of the doubt, or should we hold back until we are sure that they are worthy of our trust? Each of these approaches has a powerful impact on the trust level within our organization. One has a powerful positive effect and the other has a powerful negative effect. Let’s explore the pitfalls of waiting for others to earn our trust, and the benefits of extending trust freely. We erode trust by waiting for others to earn our trust. If we meet someone new and think “They have to earn my trust,” then we are intentionally withholding trust from them. We are automatically assuming the worst about their intentions and their level of trustworthiness. This “wait and see” way of thinking about trust can lead to a low trust culture in several ways. If we are wait for someone to be trustworthy (and assume that they won’t be), our assumption will change how we treat them. Think about how we might treat someone we think is untrustworthy. Will we be eager to share ideas, offer support and collaborate? If we are waiting for someone to prove that they are trustworthy before we trust them, how will they be able to tell that we are trustworthy? If we don’t use behaviors that extend trust, how can we expect them to trust us enough to extend trust? If each one of us is waiting to see if the other will earn trust, we will quickly descend into a stalemate, with neither one extending trust. It will be very difficult for us to work together successfully while stuck in this stalemate. We may even look for examples of the other person’s untrustworthiness (examples that prove that we were right about them) and miss the positive things that they do. We can build trust by assuming that people will be trustworthy. If we meet someone new and choose to trust them right away, we are automatically assuming the best about their intentions and their level of trustworthiness. This type of “assuming positive intent” can lead to a high trust culture in several ways. If we expect someone to be trustworthy (and assume that they will be), our assumption will change how we treat them. Think about how we might treat someone we think is trustworthy. We will be eager to share ideas, offer support and collaborate. If we are not waiting for someone to prove that they are trustworthy before we trust them, we can demonstrate that we are trustworthy by extending trust to them. If we use behaviors that extend trust, we can expect them to more quickly trust us enough to extend trust in return. When one person extends trust, and the other reciprocates, it is easier to work together successfully. We may even look for examples of the other person’s trustworthiness (examples that prove that we were right about them) and overlook the small negative things that they do. 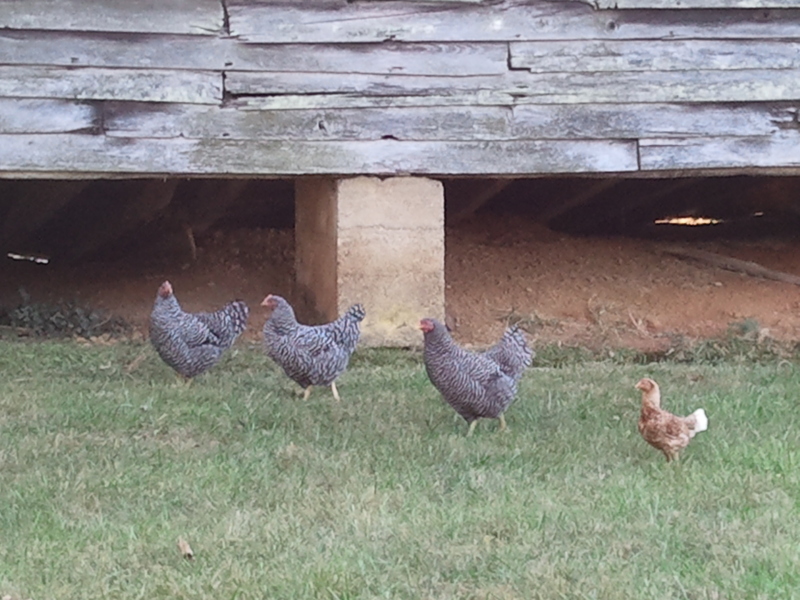 So which comes first, the chicken or the egg? 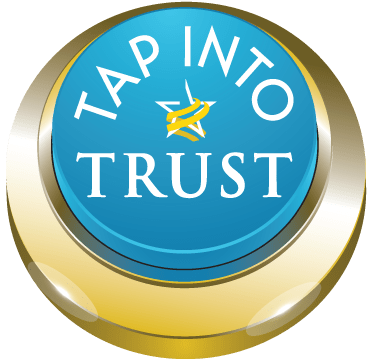 Extending trust or earning trust? Trust in the workplace works best if we give people the benefit of the doubt. We must reach out and extend trust in order to receive it. When we withhold trust as a general rule (for no good reason), we are eroding trust. When we assume the best and extend trust (for no good reason), we are building trust. Sometimes people will disappoint us when we extend trust. Most of the time, though, people will delight us with how well they do when we expect the best from them. How do we define unethical leadership? While there are hundreds of stories that illustrate examples of unethical leadership in the news, those stories taken together still do not clearly define the boundaries of what unethical leadership includes. To be relevant, our definition of “unethical leadership” has to be broad enough to include the many ways that leaders behave unethically. To guide ethical leadership behavior, it must also be specific enough to provide boundaries for leadership behavior and decision making. Being unwilling or unable to think beyond our own personal interests and our own personal gain can lead to unethical leadership, but not all unethical leadership decisions are made intentionally. Unethical leadership appears in a wide variety of forms and happens for a variety of reasons. Sometimes unethical leadership is motivated by greed and involves harming others to make more profit. “Dark side research has uncovered a variety of unethical leader acts. Various terms have evolved in the literature, such as abusive supervision (Tepper, 2000), supervisor undermining (Duffy et al., 2002), toxic leadership (Frost, 2004), and tyrannical leadership (Ashforth, 1994). Research shows these leaders are oppressive, abusive, manipulative, and calculatingly undermining (Tepper, 2007). Their actions are perceived as intentional and harmful, and may be the source of legal action against employers (Tepper, 2007). Therefore, destructive leader behavior is unethical. Unethical leadership may also happen when leaders fail to take the time to consider the impact of their choices on the many stakeholders involved. Decisions with unintended consequences can be just as harmful as intentionally unethical decisions. Joann B. Ciulla, “Ethics and Leadership Effectiveness,” Book Chapter in The Nature of Leadership. Eds. J. Antonakis, A. T. Cianciolo, and R. J. Sternberg. Leaders are dealing with a high degree of complexity, yet lack a detailed road map to guide their process. As we develop leaders for success in the future, we must focus on the ethical elements of their work, and help them work through the many difficult choices they will have to make. The comments kept coming! Here are 5 More Ways to Avoid the “Rightness” Trap based on social media responses to Is Needing to Be “Right” Unethical? They are each illustrated here with quotes. The original September 5, 2012 post about rightness Is Needing to Be “Right” Unethical? set an all-time one-day record for the Leading in Context Blog. Perhaps readers believe, as I do, that we need to work together in ways that respect both our individuality and our connectedness. To achieve that, we will need to be always vigilant and always learning. The way in which corporations conduct business has changed dramatically in recent decades. The industrial complex, traditionally based on hard assets, has evolved. Three decades ago, according to a report published by Thomson Reuters and Interbrand, 95 percent of the average corporation’s value was composed of tangible assets. Today, 75 percent of the average corporation’s value is now intangible. Accordingly, the most valuable asset for most corporations is their good name, or their brand and reputation. The report “Brandz™ Top 100: Most Valuable Global Brands 2011” at MillwardBrown.com describes consumer trends and how ethical behavior impacts a company’s brand value. Customers now shop globally, and when they buy, they compare products more and more often based on ethics. In addition to shopping cautiously during the recession when money is tight, there is also a trend toward thinking about how each purchase impacts the global community and the planet. Millward Brown uses the term ‘considered consumption’ to describe the current trend in consumer behavior. In a recent survey released jointly by the World Economic Forum and the Fleishman-Hillard public relations firm, three-fifths of chief executives said they believed corporate brand and reputation represented more than 40% of their company’s market capitalization. That value is the organization’s brand reputational value. In addition to reporting about global brand value and industry changes, “Brandz™ Top 100: Most Valuable Global Brands 2011” includes advice for companies and their brands about how to reach today’s consumers during difficult economic times. How are Complexity and Creativity Related? Based on the key capability gaps revealed in this study, we believe organizations should focus on three critical workforce imperatives: cultivating creative leaders, mobilizing for speed and flexibility and capitalizing on collective intelligence. It’s tempting to repeat the same strategies we’ve always used successfully as leaders – but those same approaches may not work well when we’re solving complex problems. To be successful leaders in a global society, we need to learn how to navigate through complexity. The world’s private and public sector leaders believe that a rapid escalation of “complexity” is the biggest challenge confronting them. They expect it to continue — indeed, to accelerate — in the coming years. They are equally clear that their enterprises today are not equipped to cope effectively with this complexity in the global environment. In his Note to Fellow CEOs, IBM Chairman Samuel J. Palmisano shares that “We occupy a world that is connected on multiple dimensions, and at a deep level — a global system of systems. That means, among other things, that it is subject to systems-level failures, which require systems-level thinking about the effectiveness of its physical and digital infrastructures.” The IBM report Capitalizing on Complexity found that Executives are realizing that creative thinking is critically important for business leaders. …they identify “creativity” as the single most important leadership competency for enterprises seeking a path through this complexity. In the leadership development world, creativity is currently getting a great deal of attention. But what is it? Can you learn it? Is it a skill? How do we lead in ways that encourage it? Is it A Skill or a Mindset? Can you learn “creativity” as a skill? According to John Maxwell in his book Thinking for a Change, creativity is not a single skill or attribute, but a mindset that embraces a broad array of different things including Ambiguity, Learning, Possibility, Connecting, Ideas, Options, Exploring Gaps and Inconsistencies, the Offbeat, and Failure. Creativity, then, is as a way of thinking – a flexible, connecting mindset that helps us deal with a changing world, and keeps us nimble and adaptable. How is it Different From Critical Thinking? How Do Creative Thinkers Handle Failing? If you want a creative organization, inaction is the worst kind of failure—and the only kind that deserves to be punished. Researcher Dean Keith Simonton provides strong evidence from multiple studies that creativity results from action. Renowned geniuses like Picasso, da Vinci, and physicist Richard Feynman didn’t succeed at a higher rate than their peers. They simply produced more, which meant that they had far more successes and failures than their unheralded colleagues. As leaders, we need to create an environment where learning and creativity are encouraged, where people are respectful, and where work is meaningful. In such an environment, people can actually enjoy what they’re doing. engage others in the work of meeting goals and advancing the organization’s vision and mission. Laws serve as the minimum standards for society, but responsible leadership requires that we go well beyond those minimum standards. This post explores resources that help us understand (1) what it means to be a globally responsible leader and (2) what kinds of learning opportunities help leaders develop a global sense of responsibility. Who is the Globally Responsible Leader? Leaders build responsible cultures and companies through strong ethical values and their own daily responsible actions and choices. As leaders, we will help shape the future of the businesses and societies we serve through our small actions and big decisions. What if we’re not a leader in a global business? What if we’re part of a small, local company? In our complex connected society, we all need to be thinking about ethical issues beyond our customers, our employees, our communities and our profits. What is globally responsible leadership and why does it need to be a business priority? If we did think beyond our geographical boundaries, what would that look like? How can we help develop the present and future generation of globally responsible leaders? Today I share a collection of quotes from varied sources that describe the “thinking process” of a globally responsible leader. How Can We Develop Responsible Global Leaders? Seeing issues and problems from multiple perspectives, and seeing ourselves as part of a global community will help us lead our businesses into the future. For anyone training, coaching, mentoring, teaching or simply setting a good example for other leaders in the organization, demonstrating globally responsible leadership should be a top priority. I spent some time thinking about what Senior Leaders and leadership development professionals can do to be sure that their leaders are learning the kind of leadership that is in such high demand now, and will be essential for success in the future. My list of “10 Practical Ways to Help Leaders Lead Ethically Through Complexity” is below. What would you add?